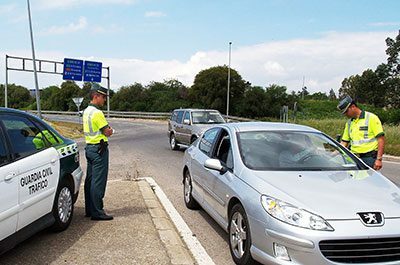 Approximately 5% of motoring offences on Spanish roads are committed by visitors to the country, with an on-the-spot-fine, having your car impounded or even imprisonment being the penalty for more serious offences. Some of our motoring rules may seem strict, but ultimately, they’re here for all of our safety. 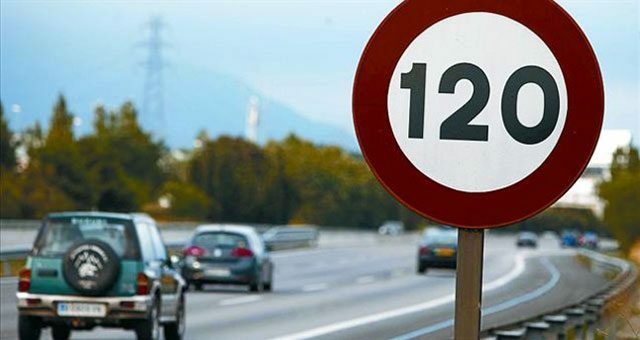 As you drive away from the rental office, make sure you stay on the right side of the law (and the road) this summer, with malagacar.com’s quick guide to Spanish road rules. In Spain we drive on the RIGHT, overtake on the left. When approaching a roundabout give way to traffic on your left, unless signed otherwise. Be especially careful when setting off from service stations or restaurants on the left side of the road. Ensure you have your current passport and full driver’s licence with you whenever you drive. All passengers must wear a seat belt at all times. Laws are strict on the use of indicators. Make sure when overtaking and turning that you use your indicators or you run the risk of getting fined. Children under 12 are not allowed to travel in the front. Passengers seated in the rear under 135cms tall are required to use a child safety restraints or booster seat. When crossing lanes only cross when the white lines are broken. If the white line is solid – do not cross. Mobile phones cannot be used while driving, even if you pull over to the side of the road. Hands free kits requiring headphones are not allowed, and you must park completely away from any traffic before using your phone. Spain has very strict laws on drink driving – only allowing 0.5 milligrams of alcohol per millilitre of blood. This is much stricter than many other EU countries, including the UK where the limit is 0.8. Breaking this law could land you with 6-12 months in prison depending on how far over the limit you are. Speeding and other traffic offences are subject to on-the-spot fines. Radar trap are frequent, and the limits are strictly implemented. Always pay attention to speed limit signs. Should you experience a rare cloudy day on the Costas, dipped headlights must be used in poor daylight visibility, and headlights must be turned on when driving through tunnels. There are usually signs reminding you to turn your lights on when you enter, and off when you leave. It is illegal to wear sunglasses in tunnels. Finally, two warning triangles and a safety vest are compulsory in all vehicles in the event of a breakdown. These will make sure both you and your vehicle are visible to other road users. If you do break down one has to be placed in front and one behind, at least 20 metres from the vehicle. Every car rental from malagacar.com leaves our Malaga airport office with this kit included to ensure your safety, and keep you on the right side of the law when driving on your holiday.